“For All Kings” debuted at No. 9 on the Billboard 200 earlier this year with opening week sales of 34,000 units. The record also debuted at No. 2 on Billboard's Top Rock Albums chart, No. 2 on the Independent Albums chart, No. 4 on the Physical Albums chart, and at No. 5 on the Vinyl Albums chart. The album was previewed with the track “Evil Twin” ahead of its release and has since seen “Breathing Lightning” and “Blood Eagle Wings” issued as singles. 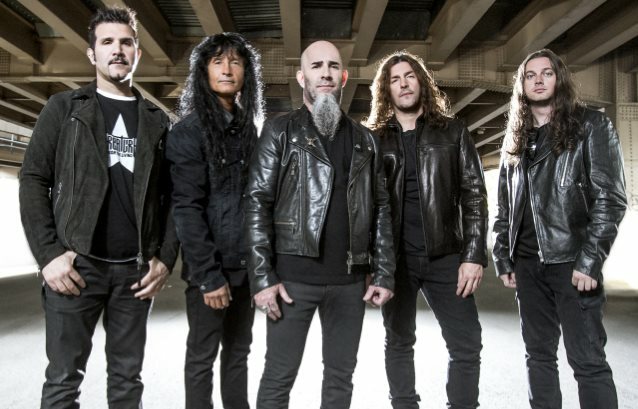 Anthrax continue to tour in support of “For All Kings” with a June 25 appearance at Amnesia Rockfest in Montebello, Quebec ahead before launching an extensive summer tour across Europe at Tuska Open Air in Helsinki, Finland on July 2.